Studying earth science? Learn about the different types of clouds with the series of cloud types. This worksheet is all about cirrus clouds, the kind you often see on a rainy day. Draw some drizzle into the scene for extra fun! 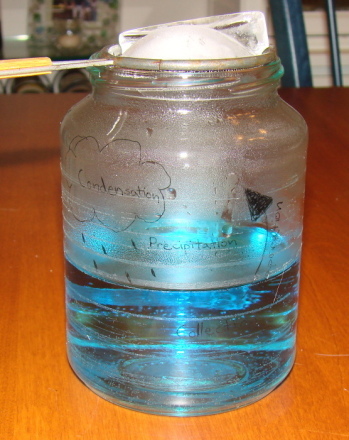 Create your own cloud with an activity that will explain how important concepts such as evaporation, condensation, and precipitation work. Meet the stratus cloud, a low-hanging kind of cloud that usually comes out when it rains, in this earth science worksheet. This airliner coloring page will have your child on cloud nine! Add colour as it jets across the sky. Kids will learn words such as "cloud" and "clear."